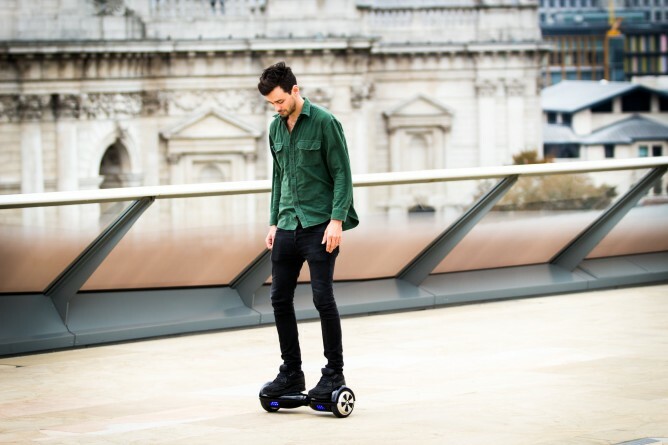 Better scratch "hoverboards" off your wish list this year if you live in New York City. The motorized self-balancing scooters are illegal, according to the New York City Police Department and the New York State Department of Motor Vehicles. "They are not considered motor vehicles so they cannot be registered," a DMV spokeswoman told CNNMoney. "According to state law, a first violation shall result in no fine. A second or subsequent violation shall result in a civil fine not to exceed $50." Hoverboards like the one Marty McFly used in "Back to the Future II" aren't real of course. They're just the name people have given to two-wheeled, self-balancing scooters that look like they are little more than boards with wheels. Self-balancing scooters have become extremely popular over the past year. They are No. 1 on Amazon's Best Sellers list on the site's Sports and Outdoors section. There are hundreds of models on sale ranging from about $200 to $2,000.